For the academic journal, see History of Science (journal). "New science" redirects here. For the treatise about history, see The New Science. The history of science is the study of the development of science and scientific knowledge, including both the natural and social sciences (the history of the arts and humanities is termed history of scholarship). Science is a body of empirical, theoretical, and practical knowledge about the natural world, produced by scientists who emphasize the observation, explanation, and prediction of real-world phenomena. Historiography of science, in contrast, studies the methods employed by historians of science. The English word scientist is relatively recent—first coined by William Whewell in the 19th century. Previously, investigators of nature called themselves "natural philosophers". While empirical investigations of the natural world have been described since classical antiquity (for example, by Thales and Aristotle), and the scientific method has been employed since the Middle Ages (for example, by Ibn al-Haytham and Roger Bacon), modern science began to develop in the early modern period, and in particular in the scientific revolution of 16th- and 17th-century Europe. Traditionally, historians of science have defined science sufficiently broadly to include those earlier inquiries. From the 18th through the late 20th century, the history of science, especially of the physical and biological sciences, was often presented as a progressive accumulation of knowledge, in which true theories replaced false beliefs. More recent historical interpretations, such as those of Thomas Kuhn, tend to portray the history of science in terms of competing paradigms or conceptual systems within a wider matrix of intellectual, cultural, economic and political trends. These interpretations, however, have met with opposition for they also portray the history of science as an incoherent system of incommensurable paradigms, not leading to any actual scientific progress but only to the illusion that it has occurred. In prehistoric times, knowledge and technique were passed from generation to generation in an oral tradition. For example, the domestication of maize for agriculture has been dated to about 9,000 years ago in southern Mexico, before the development of writing systems. Similarly, archaeological evidence indicates the development of astronomical knowledge in preliterate societies. The development of writing enabled knowledge to be stored and communicated across generations with much greater fidelity. Many ancient civilizations systematically collected astronomical observations. Rather than speculate on the material nature of the planets and stars, the ancients charted the relative positions of celestial bodies, often inferring their influence on human society. This demonstrates how ancient investigators generally employed a holistic intuition, assuming the interconnectedness of all things, whereas modern science rejects such conceptual leaps. Basic facts about human physiology were known in some places, and alchemy was practiced in several civilizations. Considerable observation of macroscopic flora and fauna was also performed. The ancient Mesopotamians had no distinction between "rational science" and magic. When a person became ill, doctors prescribed magical formulas to be recited as well as medicinal treatments. The earliest medical prescriptions appear in Sumerian during the Third Dynasty of Ur (c. 2112 BC – c. 2004 BC). The most extensive Babylonian medical text, however, is the Diagnostic Handbook written by the ummânū, or chief scholar, Esagil-kin-apli of Borsippa, during the reign of the Babylonian king Adad-apla-iddina (1069–1046 BC). In East Semitic cultures, the main medicinal authority was a kind of exorcist-healer known as an āšipu. The profession was generally passed down from father to son and was held in extremely high regard. Of less frequent recourse was another kind of healer known as an asu, who corresponds more closely to a modern physician and treated physical symptoms using primarily folk remedies composed of various herbs, animal products, and minerals, as well as potions, enemas, and ointments or poultices. These physicians, who could be either male or female, also dressed wounds, set limbs, and performed simple surgeries. The ancient Mesopotamians also practiced prophylaxis and took measures to prevent the spread of disease. The ancient Mesopotamians had extensive knowledge about the chemical properties of clay, sand, metal ore, bitumen, stone, and other natural materials, and applied this knowledge to practical use in manufacturing pottery, faience, glass, soap, metals, lime plaster, and waterproofing. Metallurgy required scientific knowledge about the properties of metals. Nonetheless, the Mesopotamians seem to have had little interest in gathering information about the natural world for the mere sake of gathering information and were far more interested in studying the manner in which the gods had ordered the universe. Biology of non-human organisms was generally only written about in the context of mainstream academic disciplines. Animal physiology was studied extensively for the purpose of divination; the anatomy of the liver, which was seen as an important organ in haruspicy, was studied in particularly intensive detail. Animal behavior was also studied for divinatory purposes. Most information about the training and domestication of animals was probably transmitted orally without being written down, but one text dealing with the training of horses has survived. The Mesopotamian cuneiform tablet Plimpton 322, dating to the eighteenth century BC, records a number of Pythagorean triplets (3,4,5) (5,12,13) ..., hinting that the ancient Mesopotamians might have been aware of the Pythagorean theorem over a millennium before Pythagoras. Mesopotamian clay tablet, 492 BC. Writing allowed the recording of astronomical information. In Babylonian astronomy, records of the motions of the stars, planets, and the moon are left on thousands of clay tablets created by scribes. Even today, astronomical periods identified by Mesopotamian proto-scientists are still widely used in Western calendars such as the solar year and the lunar month. Using these data they developed arithmetical methods to compute the changing length of daylight in the course of the year and to predict the appearances and disappearances of the Moon and planets and eclipses of the Sun and Moon. Only a few astronomers' names are known, such as that of Kidinnu, a Chaldean astronomer and mathematician. Kiddinu's value for the solar year is in use for today's calendars. Babylonian astronomy was "the first and highly successful attempt at giving a refined mathematical description of astronomical phenomena." According to the historian A. Aaboe, "all subsequent varieties of scientific astronomy, in the Hellenistic world, in India, in Islam, and in the West—if not indeed all subsequent endeavour in the exact sciences—depend upon Babylonian astronomy in decisive and fundamental ways." Ancient Egypt made significant advances in astronomy, mathematics and medicine. Their development of geometry was a necessary outgrowth of surveying to preserve the layout and ownership of farmland, which was flooded annually by the Nile river. The 3-4-5 right triangle and other rules of geometry were used to build rectilinear structures, and the post and lintel architecture of Egypt. Egypt was also a center of alchemy research for much of the Mediterranean. The Edwin Smith papyrus is one of the first medical documents still extant, and perhaps the earliest document that attempts to describe and analyse the brain: it might be seen as the very beginnings of modern neuroscience. However, while Egyptian medicine had some effective practices, it was often ineffective and sometimes harmful. Medical historians believe that ancient Egyptian pharmacology, for example, was largely ineffective. Nevertheless, it applied the following components to the treatment of disease: examination, diagnosis, treatment, and prognosis, which display strong parallels to the basic empirical method of science and, according to G.E.R. Lloyd, played a significant role in the development of this methodology. The Ebers papyrus (c. 1550 BC) also contains evidence of traditional empiricism. In Classical Antiquity, the inquiry into the workings of the universe took place both in investigations aimed at such practical goals as establishing a reliable calendar or determining how to cure a variety of illnesses and in those abstract investigations known as natural philosophy. The ancient people who are considered the first scientists may have thought of themselves as natural philosophers, as practitioners of a skilled profession (for example, physicians), or as followers of a religious tradition (for example, temple healers). The earliest Greek philosophers, known as the pre-Socratics, provided competing answers to the question found in the myths of their neighbors: "How did the ordered cosmos in which we live come to be?" The pre-Socratic philosopher Thales (640–546 BC), dubbed the "father of science", was the first to postulate non-supernatural explanations for natural phenomena. For example, that land floats on water and that earthquakes are caused by the agitation of the water upon which the land floats, rather than the god Poseidon. Thales' student Pythagoras of Samos founded the Pythagorean school, which investigated mathematics for its own sake, and was the first to postulate that the Earth is spherical in shape. Leucippus (5th century BC) introduced atomism, the theory that all matter is made of indivisible, imperishable units called atoms. This was greatly expanded on by his pupil Democritus and later Epicurus. Subsequently, Plato and Aristotle produced the first systematic discussions of natural philosophy, which did much to shape later investigations of nature. Their development of deductive reasoning was of particular importance and usefulness to later scientific inquiry. 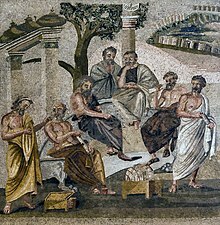 Plato founded the Platonic Academy in 387 BC, whose motto was "Let none unversed in geometry enter here", and turned out many notable philosophers. Plato's student Aristotle introduced empiricism and the notion that universal truths can be arrived at via observation and induction, thereby laying the foundations of the scientific method. Aristotle also produced many biological writings that were empirical in nature, focusing on biological causation and the diversity of life. He made countless observations of nature, especially the habits and attributes of plants and animals on Lesbos, classified more than 540 animal species, and dissected at least 50. Aristotle's writings profoundly influenced subsequent Islamic and European scholarship, though they were eventually superseded in the Scientific Revolution. Archimedes used the method of exhaustion to approximate the value of π. "Men were weighing for thousands of years before Archimedes worked out the laws of equilibrium; they must have had practical and intuitional knowledge of the principles involved. What Archimedes did was to sort out the theoretical implications of this practical knowledge and present the resulting body of knowledge as a logically coherent system." "With astonishment we find ourselves on the threshold of modern science. Nor should it be supposed that by some trick of translation the extracts have been given an air of modernity. Far from it. The vocabulary of these writings and their style are the source from which our own vocabulary and style have been derived." Schematic of the Antikythera mechanism (150–100 BC). The astronomer Aristarchus of Samos was the first known person to propose a heliocentric model of the solar system, while the geographer Eratosthenes accurately calculated the circumference of the Earth. Hipparchus (c. 190 – c. 120 BC) produced the first systematic star catalog. The level of achievement in Hellenistic astronomy and engineering is impressively shown by the Antikythera mechanism (150–100 BC), an analog computer for calculating the position of planets. Technological artifacts of similar complexity did not reappear until the 14th century, when mechanical astronomical clocks appeared in Europe. In medicine, Hippocrates (c. 460 BC – c. 370 BC) and his followers were the first to describe many diseases and medical conditions and developed the Hippocratic Oath for physicians, still relevant and in use today. Herophilos (335–280 BC) was the first to base his conclusions on dissection of the human body and to describe the nervous system. Galen (129 – c. 200 AD) performed many audacious operations—including brain and eye surgeries— that were not tried again for almost two millennia. One of the oldest surviving fragments of Euclid's Elements, found at Oxyrhynchus and dated to c. 100 AD. In Hellenistic Egypt, the mathematician Euclid laid down the foundations of mathematical rigor and introduced the concepts of definition, axiom, theorem and proof still in use today in his Elements, considered the most influential textbook ever written. Archimedes, considered one of the greatest mathematicians of all time, is credited with using the method of exhaustion to calculate the area under the arc of a parabola with the summation of an infinite series, and gave a remarkably accurate approximation of Pi. He is also known in physics for laying the foundations of hydrostatics, statics, and the explanation of the principle of the lever. Theophrastus wrote some of the earliest descriptions of plants and animals, establishing the first taxonomy and looking at minerals in terms of their properties such as hardness. Pliny the Elder produced what is one of the largest encyclopedias of the natural world in 77 AD, and must be regarded as the rightful successor to Theophrastus. For example, he accurately describes the octahedral shape of the diamond, and proceeds to mention that diamond dust is used by engravers to cut and polish other gems owing to its great hardness. His recognition of the importance of crystal shape is a precursor to modern crystallography, while mention of numerous other minerals presages mineralogy. He also recognises that other minerals have characteristic crystal shapes, but in one example, confuses the crystal habit with the work of lapidaries. He was also the first to recognise that amber was a fossilized resin from pine trees because he had seen samples with trapped insects within them. Ancient India was an early leader in metallurgy, as evidenced by the wrought-iron Pillar of Delhi. Mathematics: The earliest traces of mathematical knowledge in the Indian subcontinent appear with the Indus Valley Civilization (c. 4th millennium BC ~ c. 3rd millennium BC). The people of this civilization made bricks whose dimensions were in the proportion 4:2:1, considered favorable for the stability of a brick structure. They also tried to standardize measurement of length to a high degree of accuracy. They designed a ruler—the Mohenjo-daro ruler—whose unit of length (approximately 1.32 inches or 3.4 centimetres) was divided into ten equal parts. Bricks manufactured in ancient Mohenjo-daro often had dimensions that were integral multiples of this unit of length. Indian astronomer and mathematician Aryabhata (476–550), in his Aryabhatiya (499) introduced a number of trigonometric functions (including sine, versine, cosine and inverse sine), trigonometric tables, and techniques and algorithms of algebra. In 628 AD, Brahmagupta suggested that gravity was a force of attraction. He also lucidly explained the use of zero as both a placeholder and a decimal digit, along with the Hindu-Arabic numeral system now used universally throughout the world. Arabic translations of the two astronomers' texts were soon available in the Islamic world, introducing what would become Arabic numerals to the Islamic world by the 9th century. During the 14th–16th centuries, the Kerala school of astronomy and mathematics made significant advances in astronomy and especially mathematics, including fields such as trigonometry and analysis. In particular, Madhava of Sangamagrama is considered the "founder of mathematical analysis". Astronomy: The first textual mention of astronomical concepts comes from the Vedas, religious literature of India. According to Sarma (2008): "One finds in the Rigveda intelligent speculations about the genesis of the universe from nonexistence, the configuration of the universe, the spherical self-supporting earth, and the year of 360 days divided into 12 equal parts of 30 days each with a periodical intercalary month.". The first 12 chapters of the Siddhanta Shiromani, written by Bhāskara in the 12th century, cover topics such as: mean longitudes of the planets; true longitudes of the planets; the three problems of diurnal rotation; syzygies; lunar eclipses; solar eclipses; latitudes of the planets; risings and settings; the moon's crescent; conjunctions of the planets with each other; conjunctions of the planets with the fixed stars; and the patas of the sun and moon. The 13 chapters of the second part cover the nature of the sphere, as well as significant astronomical and trigonometric calculations based on it. Nilakantha Somayaji's astronomical treatise the Tantrasangraha similar in nature to the Tychonic system proposed by Tycho Brahe had been the most accurate astronomical model until the time of Johannes Kepler in the 17th century. Linguistics: Some of the earliest linguistic activities can be found in Iron Age India (1st millennium BC) with the analysis of Sanskrit for the purpose of the correct recitation and interpretation of Vedic texts. The most notable grammarian of Sanskrit was Pāṇini (c. 520–460 BC), whose grammar formulates close to 4,000 rules which together form a compact generative grammar of Sanskrit. Inherent in his analytic approach are the concepts of the phoneme, the morpheme and the root. Medicine: Findings from Neolithic graveyards in what is now Pakistan show evidence of proto-dentistry among an early farming culture. Ayurveda is a system of traditional medicine that originated in ancient India before 2500 BC, and is now practiced as a form of alternative medicine in other parts of the world. Its most famous text is the Suśrutasamhitā of Suśruta, which is notable for describing procedures on various forms of surgery, including rhinoplasty, the repair of torn ear lobes, perineal lithotomy, cataract surgery, and several other excisions and other surgical procedures. Metallurgy: The wootz, crucible and stainless steels were invented in India, and were widely exported in Classic Mediterranean world. It was known from Pliny the Elder as ferrum indicum. Indian Wootz steel was held in high regard in Roman Empire, was often considered to be the best. After in Middle Age it was imported in Syria to produce with special techniques the "Damascus steel" by the year 1000. The Hindus excel in the manufacture of iron, and in the preparations of those ingredients along with which it is fused to obtain that kind of soft iron which is usually styled Indian steel (Hindiah). They also have workshops wherein are forged the most famous sabres in the world. —Henry Yule quoted the 12th-century Arab Edrizi. Mathematics: From the earliest the Chinese used a positional decimal system on counting boards in order to calculate. To express 10, a single rod is placed in the second box from the right. The spoken language uses a similar system to English: e.g. four thousand two hundred seven. No symbol was used for zero. By the 1st century BC, negative numbers and decimal fractions were in use and The Nine Chapters on the Mathematical Art included methods for extracting higher order roots by Horner's method and solving linear equations and by Pythagoras' theorem. Cubic equations were solved in the Tang dynasty and solutions of equations of order higher than 3 appeared in print in 1245 AD by Ch'in Chiu-shao. Pascal's triangle for binomial coefficients was described around 1100 by Jia Xian. which remained the most accurate value for 1200 years. One of the star maps from Su Song's Xin Yi Xiang Fa Yao published in 1092, featuring a cylindrical projection similar to Mercator, and the corrected position of the pole star thanks to Shen Kuo's astronomical observations. Astronomy: Astronomical observations from China constitute the longest continuous sequence from any civilisation and include records of sunspots (112 records from 364 BC), supernovas (1054), lunar and solar eclipses. By the 12th century, they could reasonably accurately make predictions of eclipses, but the knowledge of this was lost during the Ming dynasty, so that the Jesuit Matteo Ricci gained much favour in 1601 by his predictions. By 635 Chinese astronomers had observed that the tails of comets always point away from the sun. From antiquity, the Chinese used an equatorial system for describing the skies and a star map from 940 was drawn using a cylindrical (Mercator) projection. The use of an armillary sphere is recorded from the 4th century BC and a sphere permanently mounted in equatorial axis from 52 BC. In 125 AD Zhang Heng used water power to rotate the sphere in real time. This included rings for the meridian and ecliptic. By 1270 they had incorporated the principles of the Arab torquetum. Seismology: To better prepare for calamities, Zhang Heng invented a seismometer in 132 CE which provided instant alert to authorities in the capital Luoyang that an earthquake had occurred in a location indicated by a specific cardinal or ordinal direction. Although no tremors could be felt in the capital when Zhang told the court that an earthquake had just occurred in the northwest, a message came soon afterwards that an earthquake had indeed struck 400 km (248 mi) to 500 km (310 mi) northwest of Luoyang (in what is now modern Gansu). Zhang called his device the 'instrument for measuring the seasonal winds and the movements of the Earth' (Houfeng didong yi 候风地动仪), so-named because he and others thought that earthquakes were most likely caused by the enormous compression of trapped air. See Zhang's seismometer for further details. There are many notable contributors to the field of Chinese science throughout the ages. One of the best examples would be Shen Kuo (1031–1095), a polymath scientist and statesman who was the first to describe the magnetic-needle compass used for navigation, discovered the concept of true north, improved the design of the astronomical gnomon, armillary sphere, sight tube, and clepsydra, and described the use of drydocks to repair boats. After observing the natural process of the inundation of silt and the find of marine fossils in the Taihang Mountains (hundreds of miles from the Pacific Ocean), Shen Kuo devised a theory of land formation, or geomorphology. He also adopted a theory of gradual climate change in regions over time, after observing petrified bamboo found underground at Yan'an, Shaanxi province. If not for Shen Kuo's writing, the architectural works of Yu Hao would be little known, along with the inventor of movable type printing, Bi Sheng (990–1051). Shen's contemporary Su Song (1020–1101) was also a brilliant polymath, an astronomer who created a celestial atlas of star maps, wrote a pharmaceutical treatise with related subjects of botany, zoology, mineralogy, and metallurgy, and had erected a large astronomical clocktower in Kaifeng city in 1088. To operate the crowning armillary sphere, his clocktower featured an escapement mechanism and the world's oldest known use of an endless power-transmitting chain drive. The Jesuit China missions of the 16th and 17th centuries "learned to appreciate the scientific achievements of this ancient culture and made them known in Europe. Through their correspondence European scientists first learned about the Chinese science and culture." Western academic thought on the history of Chinese technology and science was galvanized by the work of Joseph Needham and the Needham Research Institute. Among the technological accomplishments of China were, according to the British scholar Needham, early seismological detectors (Zhang Heng in the 2nd century), the water-powered celestial globe (Zhang Heng), matches, the independent invention of the decimal system, dry docks, sliding calipers, the double-action piston pump, cast iron, the blast furnace, the iron plough, the multi-tube seed drill, the wheelbarrow, the suspension bridge, the winnowing machine, the rotary fan, the parachute, natural gas as fuel, the raised-relief map, the propeller, the crossbow, and a solid fuel rocket, the multistage rocket, the horse collar, along with contributions in logic, astronomy, medicine, and other fields. It was not that there was no order in nature for the Chinese, but rather that it was not an order ordained by a rational personal being, and hence there was no conviction that rational personal beings would be able to spell out in their lesser earthly languages the divine code of laws which he had decreed aforetime. The Taoists, indeed, would have scorned such an idea as being too naïve for the subtlety and complexity of the universe as they intuited it. In the Middle Ages the classical learning continued in three major linguistic cultures and civilizations: Greek (the Byzantine Empire), Arabic (the Islamic world), and Latin (Western Europe). Because of the collapse of the Western Roman Empire, the intellectual level in the western part of Europe declined in the 400s. In contrast, the Eastern Roman or Byzantine Empire resisted the barbarian attacks, and preserved and improved the learning. While the Byzantine Empire still held learning centers such as Constantinople, Alexandria and Antioch, Western Europe's knowledge was concentrated in monasteries until the development of medieval universities in the 12th centuries. The curriculum of monastic schools included the study of the few available ancient texts and of new works on practical subjects like medicine and timekeeping. In the sixth century in the Byzantine Empire, Isidore of Miletus compiled Archimedes' mathematical works in the Archimedes Palimpsest, where all Archimedes' mathematical contributions were collected and studied. John Philoponus, another Byzantine scholar, was the first to question Aristotle's teaching of physics, introducing the theory of impetus. The theory of impetus was an auxiliary or secondary theory of Aristotelian dynamics, put forth initially to explain projectile motion against gravity. It is the intellectual precursor to the concepts of inertia, momentum and acceleration in classical mechanics. The works of John Philoponus inspired Galileo Galilei ten centuries later. The first record of separating conjoined twins took place in the Byzantine Empire in the 900s when the surgeons tried to separate a dead body of a pair of conjoined twins. The result was partly successful as the other twin managed to live for three days. The next recorded case of separating conjoined twins was several centuries later, in 1600s Germany. During the Fall of Constantinople in 1453, a number of Greek scholars flee to North Italy in which they fueled the era later commonly known as "Renaissance” as they brought with them a great deal of classical learning including an understanding of botany, medicine, and zoology. 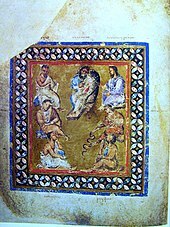 Byzantium also gave the West important inputs: John Philoponus' criticism of Aristotelian physics, and the works of Dioscorides. 15th-century manuscript of Avicenna's The Canon of Medicine. In the Middle East, Greek philosophy was able to find some support under the newly created Arab Empire. With the spread of Islam in the 7th and 8th centuries, a period of Muslim scholarship, known as the Islamic Golden Age, lasted until the 13th century. This scholarship was aided by several factors. The use of a single language, Arabic, allowed communication without need of a translator. Access to Greek texts from the Byzantine Empire, along with Indian sources of learning, provided Muslim scholars a knowledge base to build upon. Scientific method began developing in the Muslim world, where significant progress in methodology was made, beginning with the experiments of Ibn al-Haytham (Alhazen) on optics from c. 1000, in his Book of Optics. The most important development of the scientific method was the use of experiments to distinguish between competing scientific theories set within a generally empirical orientation, which began among Muslim scientists. Ibn al-Haytham is also regarded as the father of optics, especially for his empirical proof of the intromission theory of light. Some have also described Ibn al-Haytham as the "first scientist" for his development of the modern scientific method. In mathematics, the mathematician Muhammad ibn Musa al-Khwarizmi (c. 780–850) gave his name to the concept of the algorithm, while the term algebra is derived from al-jabr, the beginning of the title of one of his publications. What is now known as Arabic numerals originally came from India, but Muslim mathematicians made several key refinements to the number system, such as the introduction of decimal point notation. In astronomy, Al-Battani (c. 858–929) improved the measurements of Hipparchus, preserved in the translation of Ptolemy's Hè Megalè Syntaxis (The great treatise) translated as Almagest. Al-Battani also improved the precision of the measurement of the precession of the Earth's axis. The corrections made to the geocentric model by al-Battani, Ibn al-Haytham, Averroes and the Maragha astronomers such as Nasir al-Din al-Tusi, Mo'ayyeduddin Urdi and Ibn al-Shatir are similar to Copernican heliocentric model. Heliocentric theories may have also been discussed by several other Muslim astronomers such as Ja'far ibn Muhammad Abu Ma'shar al-Balkhi, Abu-Rayhan Biruni, Abu Said al-Sijzi, Qutb al-Din al-Shirazi, and Najm al-Dīn al-Qazwīnī al-Kātibī. Muslim chemists and alchemists played an important role in the foundation of modern chemistry. Scholars such as Will Durant and Fielding H. Garrison considered Muslim chemists to be the founders of chemistry. In particular, Jābir ibn Hayyān (c. 721–815) is "considered by many to be the father of chemistry". 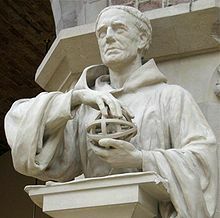 The works of Arabic scientists influenced Roger Bacon (who introduced the empirical method to Europe, strongly influenced by his reading of Persian writers), and later Isaac Newton. The scholar Al-Razi contributed to chemistry and medicine. Ibn Sina (Avicenna, c. 980–1037) is regarded as the most influential philosopher of Islam. He pioneered the science of experimental medicine and was the first physician to conduct clinical trials. His two most notable works in medicine are the Kitāb al-shifāʾ ("Book of Healing") and The Canon of Medicine, both of which were used as standard medicinal texts in both the Muslim world and in Europe well into the 17th century. Amongst his many contributions are the discovery of the contagious nature of infectious diseases, and the introduction of clinical pharmacology. Scientists from the Islamic world include al-Farabi (polymath), Abu al-Qasim al-Zahrawi (pioneer of surgery), Abū Rayhān al-Bīrūnī (pioneer of Indology, geodesy and anthropology), Nasīr al-Dīn al-Tūsī (polymath), and Ibn Khaldun (forerunner of social sciences such as demography, cultural history, historiography, philosophy of history and sociology), among many others. Islamic science began its decline in the 12th or 13th century, before the Renaissance in Europe, and due in part to the 11th–13th century Mongol conquests, during which libraries, observatories, hospitals and universities were destroyed. The end of the Islamic Golden Age is marked by the destruction of the intellectual center of Baghdad, the capital of the Abbasid caliphate in 1258. By the eleventh century, most of Europe had become Christian; stronger monarchies emerged; borders were restored; technological developments and agricultural innovations were made, increasing the food supply and population. Classical Greek texts were translated from Arabic and Greek into Latin, stimulating scientific discussion in Western Europe. An intellectual revitalization of Western Europe started with the birth of medieval universities in the 12th century. Contact with the Byzantine Empire, and with the Islamic world during the Reconquista and the Crusades, allowed Latin Europe access to scientific Greek and Arabic texts, including the works of Aristotle, Ptolemy, Isidore of Miletus, John Philoponus, Jābir ibn Hayyān, al-Khwarizmi, Alhazen, Avicenna, and Averroes. European scholars had access to the translation programs of Raymond of Toledo, who sponsored the 12th century Toledo School of Translators from Arabic to Latin. Later translators like Michael Scotus would learn Arabic in order to study these texts directly. The European universities aided materially in the translation and propagation of these texts and started a new infrastructure which was needed for scientific communities. In fact, European university put many works about the natural world and the study of nature at the center of its curriculum, with the result that the "medieval university laid far greater emphasis on science than does its modern counterpart and descendent." In classical antiquity, Greek and Roman taboos had meant that dissection was usually banned, but in the Middle Ages medical teachers and students at Bologna began to open human bodies, and Mondino de Luzzi (c. 1275–1326) produced the ﬁrst known anatomy textbook based on human dissection. As a result of the Pax Mongolica, Europeans, such as Marco Polo, began to venture further and further east. This led to the increased awareness of Indian and even Chinese culture and civilization within the European tradition. Technological advances were also made, such as the early flight of Eilmer of Malmesbury (who had studied Mathematics in 11th century England), and the metallurgical achievements of the Cistercian blast furnace at Laskill. Statue of Roger Bacon at the Oxford University Museum. At the beginning of the 13th century, there were reasonably accurate Latin translations of the main works of almost all the intellectually crucial ancient authors, allowing a sound transfer of scientific ideas via both the universities and the monasteries. By then, the natural philosophy in these texts began to be extended by scholastics such as Robert Grosseteste, Roger Bacon, Albertus Magnus and Duns Scotus. Precursors of the modern scientific method, influenced by earlier contributions of the Islamic world, can be seen already in Grosseteste's emphasis on mathematics as a way to understand nature, and in the empirical approach admired by Bacon, particularly in his Opus Majus. Pierre Duhem's thesis is that Stephen Tempier - the Bishop of Paris - Condemnation of 1277 led to the study of medieval science as a serious discipline, "but no one in the field any longer endorses his view that modern science started in 1277". However, many scholars agree with Duhem's view that the Middle Ages saw important scientific developments. The first half of the 14th century saw much important scientific work, largely within the framework of scholastic commentaries on Aristotle's scientific writings. William of Ockham emphasised the principle of parsimony: natural philosophers should not postulate unnecessary entities, so that motion is not a distinct thing but is only the moving object and an intermediary "sensible species" is not needed to transmit an image of an object to the eye. Scholars such as Jean Buridan and Nicole Oresme started to reinterpret elements of Aristotle's mechanics. In particular, Buridan developed the theory that impetus was the cause of the motion of projectiles, which was a first step towards the modern concept of inertia. The Oxford Calculators began to mathematically analyze the kinematics of motion, making this analysis without considering the causes of motion. In 1348, the Black Death and other disasters sealed a sudden end to philosophic and scientific development. Yet, the rediscovery of ancient texts was stimulated by the Fall of Constantinople in 1453, when many Byzantine scholars sought refuge in the West. Meanwhile, the introduction of printing was to have great effect on European society. The facilitated dissemination of the printed word democratized learning and allowed ideas such as algebra to propagate more rapidly. These developments paved the way for the Scientific Revolution, where scientific inquiry, halted at the start of the Black Death, resumed. 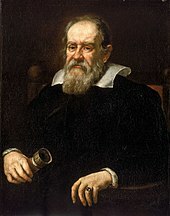 Galileo Galilei, father of modern science. The renewal of learning in Europe began with 12th century Scholasticism. The Northern Renaissance showed a decisive shift in focus from Aristotelian natural philosophy to chemistry and the biological sciences (botany, anatomy, and medicine). Thus modern science in Europe was resumed in a period of great upheaval: the Protestant Reformation and Catholic Counter-Reformation; the discovery of the Americas by Christopher Columbus; the Fall of Constantinople; but also the re-discovery of Aristotle during the Scholastic period presaged large social and political changes. Thus, a suitable environment was created in which it became possible to question scientific doctrine, in much the same way that Martin Luther and John Calvin questioned religious doctrine. The works of Ptolemy (astronomy) and Galen (medicine) were found not always to match everyday observations. Work by Vesalius on human cadavers found problems with the Galenic view of anatomy. 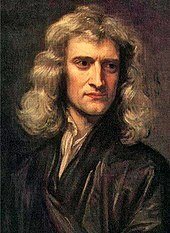 Isaac Newton initiated classical mechanics in physics. The willingness to question previously held truths and search for new answers resulted in a period of major scientific advancements, now known as the Scientific Revolution. The Scientific Revolution is traditionally held by most historians to have begun in 1543, when the books De humani corporis fabrica (On the Workings of the Human Body) by Andreas Vesalius, and also De Revolutionibus, by the astronomer Nicolaus Copernicus, were first printed. The thesis of Copernicus' book was that the Earth moved around the Sun. The period culminated with the publication of the Philosophiæ Naturalis Principia Mathematica in 1687 by Isaac Newton, representative of the unprecedented growth of scientific publications throughout Europe. Other significant scientific advances were made during this time by Galileo Galilei, Edmond Halley, Robert Hooke, Christiaan Huygens, Tycho Brahe, Johannes Kepler, Gottfried Leibniz, and Blaise Pascal. In philosophy, major contributions were made by Francis Bacon, Sir Thomas Browne, René Descartes, and Thomas Hobbes. The scientific method was also better developed as the modern way of thinking emphasized experimentation and reason over traditional considerations. Alessandro Volta demonstrates the first electrical cell to Napoleon in 1801. The Age of Enlightenment was a European affair. The 17th century brought decisive steps towards modern science, which accelerated during the 18th century. Directly based on the works of Newton, Descartes, Pascal and Leibniz, the way was now clear to the development of modern mathematics, physics and technology by the generation of Benjamin Franklin (1706–1790), Leonhard Euler (1707–1783), Mikhail Lomonosov (1711–1765) and Jean le Rond d'Alembert (1717–1783). Denis Diderot's Encyclopédie, published between 1751 and 1772 brought this new understanding to a wider audience. The impact of this process was not limited to science and technology, but affected philosophy (Immanuel Kant, David Hume), religion (the increasingly significant impact of science upon religion), and society and politics in general (Adam Smith, Voltaire). The early modern period is seen as a flowering of the European Renaissance, in what is often known as the Scientific Revolution, viewed as a foundation of modern science. The Romantic Movement of the early 19th century reshaped science by opening up new pursuits unexpected in the classical approaches of the Enlightenment. Major breakthroughs came in biology, especially in Darwin's theory of evolution, as well as physics (electromagnetism), mathematics (non-Euclidean geometry, group theory) and chemistry (organic chemistry). The decline of Romanticism occurred because a new movement, Positivism, began to take hold of the ideals of the intellectuals after 1840 and lasted until about 1880. The scientific revolution established science as a source for the growth of knowledge. [clarification needed] During the 19th century, the practice of science became professionalized and institutionalized in ways that continued through the 20th century. As the role of scientific knowledge grew in society, it became incorporated with many aspects of the functioning of nation-states. The scientific revolution is a convenient boundary between ancient thought and classical physics. Nicolaus Copernicus revived the heliocentric model of the solar system described by Aristarchus of Samos. This was followed by the first known model of planetary motion given by Johannes Kepler in the early 17th century, which proposed that the planets follow elliptical orbits, with the Sun at one focus of the ellipse. Galileo ("Father of Modern Physics") also made use of experiments to validate physical theories, a key element of the scientific method. William Gilbert did some of the earliest experiments with electricity and magnetism, establishing that the Earth itself is magnetic. In 1687, Isaac Newton published the Principia Mathematica, detailing two comprehensive and successful physical theories: Newton's laws of motion, which led to classical mechanics; and Newton's Law of Gravitation, which describes the fundamental force of gravity. During the late 18th and early 19th century, the behavior of electricity and magnetism was studied by Luigi Galvani, Giovanni Aldini, Alessandro Volta, Michael Faraday, Georg Ohm, and others. These studies led to the unification of the two phenomena into a single theory of electromagnetism, by James Clerk Maxwell (known as Maxwell's equations). The beginning of the 20th century brought the start of a revolution in physics. The long-held theories of Newton were shown not to be correct in all circumstances. Beginning in 1900, Max Planck, Albert Einstein, Niels Bohr and others developed quantum theories to explain various anomalous experimental results, by introducing discrete energy levels. 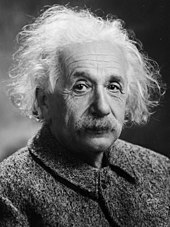 Not only did quantum mechanics show that the laws of motion did not hold on small scales, but even more disturbingly, the theory of general relativity, proposed by Einstein in 1915, showed that the fixed background of spacetime, on which both Newtonian mechanics and special relativity depended, could not exist. In 1925, Werner Heisenberg and Erwin Schrödinger formulated quantum mechanics, which explained the preceding quantum theories. The observation by Edwin Hubble in 1929 that the speed at which galaxies recede positively correlates with their distance, led to the understanding that the universe is expanding, and the formulation of the Big Bang theory by Georges Lemaître. The atomic bomb ushered in "Big Science" in physics. In 1938 Otto Hahn and Fritz Strassmann discovered nuclear fission with radiochemical methods, and in 1939 Lise Meitner and Otto Robert Frisch wrote the first theoretical interpretation of the fission process, which was later improved by Niels Bohr and John A. Wheeler. 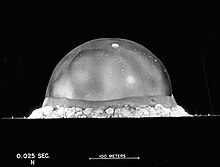 Further developments took place during World War II, which led to the practical application of radar and the development and use of the atomic bomb. Around this time, Chien-Shiung Wu was recruited by the Manhattan Project to help develop a process for separating uranium metal into U-235 and U-238 isotopes by Gaseous diffusion. She was an expert experimentalist in beta decay and weak interaction physics. Wu designed an experiment (see Wu experiment) that enabled theoretical physicists Tsung-Dao Lee and Chen-Ning Yang to disprove the law of parity experimentally, winning them a Nobel Prize in 1957. Though the process had begun with the invention of the cyclotron by Ernest O. Lawrence in the 1930s, physics in the postwar period entered into a phase of what historians have called "Big Science", requiring massive machines, budgets, and laboratories in order to test their theories and move into new frontiers. The primary patron of physics became state governments, who recognized that the support of "basic" research could often lead to technologies useful to both military and industrial applications. Currently, general relativity and quantum mechanics are inconsistent with each other, and efforts are underway to unify the two. Modern chemistry emerged from the sixteenth through the eighteenth centuries through the material practices and theories promoted by alchemy, medicine, manufacturing and mining. A decisive moment came when 'chemistry' was distinguished from alchemy by Robert Boyle in his work The Sceptical Chymist, in 1661; although the alchemical tradition continued for some time after his work. Other important steps included the gravimetric experimental practices of medical chemists like William Cullen, Joseph Black, Torbern Bergman and Pierre Macquer and through the work of Antoine Lavoisier ("father of modern chemistry") on oxygen and the law of conservation of mass, which refuted phlogiston theory. The theory that all matter is made of atoms, which are the smallest constituents of matter that cannot be broken down without losing the basic chemical and physical properties of that matter, was provided by John Dalton in 1803, although the question took a hundred years to settle as proven. Dalton also formulated the law of mass relationships. 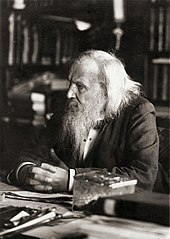 In 1869, Dmitri Mendeleev composed his periodic table of elements on the basis of Dalton's discoveries. The synthesis of urea by Friedrich Wöhler opened a new research field, organic chemistry, and by the end of the 19th century, scientists were able to synthesize hundreds of organic compounds. The later part of the 19th century saw the exploitation of the Earth's petrochemicals, after the exhaustion of the oil supply from whaling. By the 20th century, systematic production of refined materials provided a ready supply of products which provided not only energy, but also synthetic materials for clothing, medicine, and everyday disposable resources. Application of the techniques of organic chemistry to living organisms resulted in physiological chemistry, the precursor to biochemistry. The 20th century also saw the integration of physics and chemistry, with chemical properties explained as the result of the electronic structure of the atom. Linus Pauling's book on The Nature of the Chemical Bond used the principles of quantum mechanics to deduce bond angles in ever-more complicated molecules. Pauling's work culminated in the physical modelling of DNA, the secret of life (in the words of Francis Crick, 1953). In the same year, the Miller–Urey experiment demonstrated in a simulation of primordial processes, that basic constituents of proteins, simple amino acids, could themselves be built up from simpler molecules. Geology existed as a cloud of isolated, disconnected ideas about rocks, minerals, and landforms long before it became a coherent science. Theophrastus' work on rocks, Peri lithōn, remained authoritative for millennia: its interpretation of fossils was not overturned until after the Scientific Revolution. Chinese polymath Shen Kua (1031–1095) first formulated hypotheses for the process of land formation. Based on his observation of fossils in a geological stratum in a mountain hundreds of miles from the ocean, he deduced that the land was formed by erosion of the mountains and by deposition of silt. Geology did not undergo systematic restructuring during the Scientific Revolution, but individual theorists made important contributions. Robert Hooke, for example, formulated a theory of earthquakes, and Nicholas Steno developed the theory of superposition and argued that fossils were the remains of once-living creatures. Beginning with Thomas Burnet's Sacred Theory of the Earth in 1681, natural philosophers began to explore the idea that the Earth had changed over time. Burnet and his contemporaries interpreted Earth's past in terms of events described in the Bible, but their work laid the intellectual foundations for secular interpretations of Earth history. Modern geology, like modern chemistry, gradually evolved during the 18th and early 19th centuries. Benoît de Maillet and the Comte de Buffon saw the Earth as much older than the 6,000 years envisioned by biblical scholars. Jean-Étienne Guettard and Nicolas Desmarest hiked central France and recorded their observations on some of the first geological maps. Aided by chemical experimentation, naturalists such as Scotland's John Walker, Sweden's Torbern Bergman, and Germany's Abraham Werner created comprehensive classification systems for rocks and minerals—a collective achievement that transformed geology into a cutting edge field by the end of the eighteenth century. 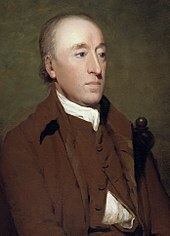 These early geologists also proposed a generalized interpretations of Earth history that led James Hutton, Georges Cuvier and Alexandre Brongniart, following in the steps of Steno, to argue that layers of rock could be dated by the fossils they contained: a principle first applied to the geology of the Paris Basin. The use of index fossils became a powerful tool for making geological maps, because it allowed geologists to correlate the rocks in one locality with those of similar age in other, distant localities. Over the first half of the 19th century, geologists such as Charles Lyell, Adam Sedgwick, and Roderick Murchison applied the new technique to rocks throughout Europe and eastern North America, setting the stage for more detailed, government-funded mapping projects in later decades. Midway through the 19th century, the focus of geology shifted from description and classification to attempts to understand how the surface of the Earth had changed. The first comprehensive theories of mountain building were proposed during this period, as were the first modern theories of earthquakes and volcanoes. Louis Agassiz and others established the reality of continent-covering ice ages, and "fluvialists" like Andrew Crombie Ramsay argued that river valleys were formed, over millions of years by the rivers that flow through them. After the discovery of radioactivity, radiometric dating methods were developed, starting in the 20th century. Alfred Wegener's theory of "continental drift" was widely dismissed when he proposed it in the 1910s, but new data gathered in the 1950s and 1960s led to the theory of plate tectonics, which provided a plausible mechanism for it. Plate tectonics also provided a unified explanation for a wide range of seemingly unrelated geological phenomena. Since 1970 it has served as the unifying principle in geology. Geologists' embrace of plate tectonics became part of a broadening of the field from a study of rocks into a study of the Earth as a planet. Other elements of this transformation include: geophysical studies of the interior of the Earth, the grouping of geology with meteorology and oceanography as one of the "earth sciences", and comparisons of Earth and the solar system's other rocky planets. Aristarchus of Samos published work on how to determine the sizes and distances of the Sun and the Moon, and Eratosthenes used this work to figure the size of the Earth. Hipparchus later discovered the precession of the Earth. Advances in astronomy and in optical systems in the 19th century resulted in the first observation of an asteroid (1 Ceres) in 1801, and the discovery of Neptune in 1846. In 1925, Cecilia Payne-Gaposchkin determined that stars were composed mostly of hydrogen and helium. She was dissuaded by astronomer Henry Norris Russell from publishing this finding in her Ph.D.thesis because of the widely held belief that stars had the same composition as the Earth. However, four years later, in 1929, Henry Norris Russell came to the same conclusion through different reasoning and the discovery was eventually accepted. George Gamow, Ralph Alpher, and Robert Herman had calculated that there should be evidence for a Big Bang in the background temperature of the universe. In 1964, Arno Penzias and Robert Wilson discovered a 3 Kelvin background hiss in their Bell Labs radiotelescope (the Holmdel Horn Antenna), which was evidence for this hypothesis, and formed the basis for a number of results that helped determine the age of the universe. Supernova SN1987A was observed by astronomers on Earth both visually, and in a triumph for neutrino astronomy, by the solar neutrino detectors at Kamiokande. But the solar neutrino flux was a fraction of its theoretically expected value. This discrepancy forced a change in some values in the standard model for particle physics. William Harvey published De Motu Cordis in 1628, which revealed his conclusions based on his extensive studies of vertebrate circulatory systems. He identified the central role of the heart, arteries, and veins in producing blood movement in a circuit, and failed to find any confirmation of Galen's pre-existing notions of heating and cooling functions. The History early modern biology and medicine is often told through the search for the seat of the soul. Galen in his descriptions of his foundational work in medicine presents the distinctions between arteries, veins, and nerves using the vocabulary of the soul. In 1847, Hungarian physician Ignác Fülöp Semmelweis dramatically reduced the occurrency of puerperal fever by simply requiring physicians to wash their hands before attending to women in childbirth. This discovery predated the germ theory of disease. However, Semmelweis' findings were not appreciated by his contemporaries and handwashing came into use only with discoveries by British surgeon Joseph Lister, who in 1865 proved the principles of antisepsis. Lister's work was based on the important findings by French biologist Louis Pasteur. Pasteur was able to link microorganisms with disease, revolutionizing medicine. He also devised one of the most important methods in preventive medicine, when in 1880 he produced a vaccine against rabies. Pasteur invented the process of pasteurization, to help prevent the spread of disease through milk and other foods. Perhaps the most prominent, controversial and far-reaching theory in all of science has been the theory of evolution by natural selection put forward by the British naturalist Charles Darwin in his book On the Origin of Species in 1859. Darwin proposed that the features of all living things, including humans, were shaped by natural processes over long periods of time. The theory of evolution in its current form affects almost all areas of biology. Implications of evolution on fields outside of pure science have led to both opposition and support from different parts of society, and profoundly influenced the popular understanding of "man's place in the universe". In the early 20th century, the study of heredity became a major investigation after the rediscovery in 1900 of the laws of inheritance developed by the Moravian monk Gregor Mendel in 1866. Mendel's laws provided the beginnings of the study of genetics, which became a major field of research for both scientific and industrial research. By 1953, James D. Watson, Francis Crick and Maurice Wilkins clarified the basic structure of DNA, the genetic material for expressing life in all its forms. In the late 20th century, the possibilities of genetic engineering became practical for the first time, and a massive international effort began in 1990 to map out an entire human genome (the Human Genome Project). 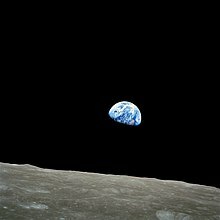 Earthrise, the Earth from above the Moon, Apollo 8. This 1968 NASA image by astronaut William Anders helped create awareness of the finiteness of Earth, and the limits of its natural resources. The discipline of ecology typically traces its origin to the synthesis of Darwinian evolution and Humboldtian biogeography, in the late 19th and early 20th centuries. Equally important in the rise of ecology, however, were microbiology and soil science—particularly the cycle of life concept, prominent in the work Louis Pasteur and Ferdinand Cohn. The word ecology was coined by Ernst Haeckel, whose particularly holistic view of nature in general (and Darwin's theory in particular) was important in the spread of ecological thinking. In the 1930s, Arthur Tansley and others began developing the field of ecosystem ecology, which combined experimental soil science with physiological concepts of energy and the techniques of field biology. Successful use of the scientific method in the physical sciences led to the same methodology being adapted to better understand the many fields of human endeavor. From this effort the social sciences have been developed. Political science is a late arrival in terms of social sciences. 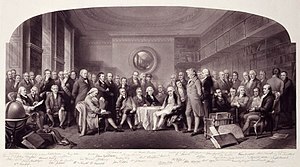 However, the discipline has a clear set of antecedents such as moral philosophy, political philosophy, political economy, history, and other fields concerned with normative determinations of what ought to be and with deducing the characteristics and functions of the ideal form of government. The roots of politics are in prehistory. In each historic period and in almost every geographic area, we can find someone studying politics and increasing political understanding. In Western culture, the study of politics is first found in Ancient Greece. The antecedents of European politics trace their roots back even earlier than Plato and Aristotle, particularly in the works of Homer, Hesiod, Thucydides, Xenophon, and Euripides. Later, Plato analyzed political systems, abstracted their analysis from more literary- and history- oriented studies and applied an approach we would understand as closer to philosophy. Similarly, Aristotle built upon Plato's analysis to include historical empirical evidence in his analysis. An ancient Indian treatise on statecraft, economic policy and military strategy by Kautilya and Viṣhṇugupta, who are traditionally identified with Chāṇakya (c. 350–283 BCE). In this treatise, the behaviors and relationships of the people, the King, the State, the Government Superintendents, Courtiers, Enemies, Invaders, and Corporations are analysed and documented. Roger Boesche describes the Arthaśāstra as "a book of political realism, a book analysing how the political world does work and not very often stating how it ought to work, a book that frequently discloses to a king what calculating and sometimes brutal measures he must carry out to preserve the state and the common good." During the rule of Rome, famous historians such as Polybius, Livy and Plutarch documented the rise of the Roman Republic, and the organization and histories of other nations, while statesmen like Julius Caesar, Cicero and others provided us with examples of the politics of the republic and Rome's empire and wars. The study of politics during this age was oriented toward understanding history, understanding methods of governing, and describing the operation of governments. With the fall of the Western Roman Empire, there arose a more diffuse arena for political studies. The rise of monotheism and, particularly for the Western tradition, Christianity, brought to light a new space for politics and political action. During the Middle Ages, the study of politics was widespread in the churches and courts. Works such as Augustine of Hippo's The City of God synthesized current philosophies and political traditions with those of Christianity, redefining the borders between what was religious and what was political. Most of the political questions surrounding the relationship between Church and State were clarified and contested in this period. In the Middle East and later other Islamic areas, works such as the Rubaiyat of Omar Khayyam and Epic of Kings by Ferdowsi provided evidence of political analysis, while the Islamic Aristotelians such as Avicenna and later Maimonides and Averroes, continued Aristotle's tradition of analysis and empiricism, writing commentaries on Aristotle's works. During the Italian Renaissance, Niccolò Machiavelli established the emphasis of modern political science on direct empirical observation of political institutions and actors. Later, the expansion of the scientific paradigm during the Enlightenment further pushed the study of politics beyond normative determinations. In particular, the study of statistics, to study the subjects of the state, has been applied to polling and voting. In the 20th century, the study of ideology, behaviouralism and international relations led to a multitude of 'pol-sci' subdisciplines including rational choice theory, voting theory, game theory (also used in economics), psephology, political geography/geopolitics, political psychology/political sociology, political economy, policy analysis, public administration, comparative political analysis and peace studies/conflict analysis. Historical linguistics emerged as an independent field of study at the end of the 18th century. Sir William Jones proposed that Sanskrit, Persian, Greek, Latin, Gothic, and Celtic languages all shared a common base. After Jones, an effort to catalog all languages of the world was made throughout the 19th century and into the 20th century. Publication of Ferdinand de Saussure's Cours de linguistique générale created the development of descriptive linguistics. Descriptive linguistics, and the related structuralism movement caused linguistics to focus on how language changes over time, instead of just describing the differences between languages. Noam Chomsky further diversified linguistics with the development of generative linguistics in the 1950s. His effort is based upon a mathematical model of language that allows for the description and prediction of valid syntax. Additional specialties such as sociolinguistics, cognitive linguistics, and computational linguistics have emerged from collaboration between linguistics and other disciplines. 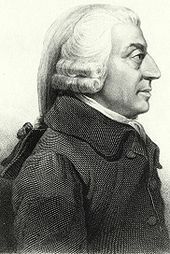 The basis for classical economics forms Adam Smith's An Inquiry into the Nature and Causes of the Wealth of Nations, published in 1776. Smith criticized mercantilism, advocating a system of free trade with division of labour. He postulated an "invisible hand" that regulated economic systems made up of actors guided only by self-interest. Karl Marx developed an alternative economic theory, called Marxian economics. Marxian economics is based on the labor theory of value and assumes the value of good to be based on the amount of labor required to produce it. Under this assumption, capitalism was based on employers not paying the full value of workers labor to create profit. The Austrian School responded to Marxian economics by viewing entrepreneurship as driving force of economic development. This replaced the labor theory of value by a system of supply and demand. In the 1920s, John Maynard Keynes prompted a division between microeconomics and macroeconomics. Under Keynesian economics macroeconomic trends can overwhelm economic choices made by individuals. Governments should promote aggregate demand for goods as a means to encourage economic expansion. Following World War II, Milton Friedman created the concept of monetarism. Monetarism focuses on using the supply and demand of money as a method for controlling economic activity. In the 1970s, monetarism has adapted into supply-side economics which advocates reducing taxes as a means to increase the amount of money available for economic expansion. Other modern schools of economic thought are New Classical economics and New Keynesian economics. New Classical economics was developed in the 1970s, emphasizing solid microeconomics as the basis for macroeconomic growth. New Keynesian economics was created partially in response to New Classical economics, and deals with how inefficiencies in the market create a need for control by a central bank or government. The above "history of economics" reflects modern economic textbooks and this means that the last stage of a science is represented as the culmination of its history (Kuhn, 1962). The "invisible hand" mentioned in a lost page in the middle of a chapter in the middle of the "Wealth of Nations", 1776, advances as Smith's central message. [clarification needed] It is played down that this "invisible hand" acts only "frequently" and that it is "no part of his [the individual's] intentions" because competition leads to lower prices by imitating "his" invention. That this "invisible hand" prefers "the support of domestic to foreign industry" is cleansed—often without indication that part of the citation is truncated. The opening passage of the "Wealth" containing Smith's message is never mentioned as it cannot be integrated into modern theory: "Wealth" depends on the division of labour which changes with market volume and on the proportion of productive to Unproductive labor. The end of the 19th century marks the start of psychology as a scientific enterprise. The year 1879 is commonly seen as the start of psychology as an independent field of study. In that year Wilhelm Wundt founded the first laboratory dedicated exclusively to psychological research (in Leipzig). Other important early contributors to the field include Hermann Ebbinghaus (a pioneer in memory studies), Ivan Pavlov (who discovered classical conditioning), William James, and Sigmund Freud. Freud's influence has been enormous, though more as cultural icon than a force in scientific psychology. The 20th century saw a rejection of Freud's theories as being too unscientific, and a reaction against Edward Titchener's atomistic approach of the mind. This led to the formulation of behaviorism by John B. Watson, which was popularized by B.F. Skinner. Behaviorism proposed epistemologically limiting psychological study to overt behavior, since that could be reliably measured. Scientific knowledge of the "mind" was considered too metaphysical, hence impossible to achieve. The final decades of the 20th century have seen the rise of a new interdisciplinary approach to studying human psychology, known collectively as cognitive science. Cognitive science again considers the mind as a subject for investigation, using the tools of psychology, linguistics, computer science, philosophy, and neurobiology. New methods of visualizing the activity of the brain, such as PET scans and CAT scans, began to exert their influence as well, leading some researchers to investigate the mind by investigating the brain, rather than cognition. These new forms of investigation assume that a wide understanding of the human mind is possible, and that such an understanding may be applied to other research domains, such as artificial intelligence. Ibn Khaldun can be regarded as the earliest scientific systematic sociologist. The modern sociology emerged in the early 19th century as the academic response to the modernization of the world. Among many early sociologists (e.g., Émile Durkheim), the aim of sociology was in structuralism, understanding the cohesion of social groups, and developing an "antidote" to social disintegration. Max Weber was concerned with the modernization of society through the concept of rationalization, which he believed would trap individuals in an "iron cage" of rational thought. Some sociologists, including Georg Simmel and W. E. B. Du Bois, utilized more microsociological, qualitative analyses. This microlevel approach played an important role in American sociology, with the theories of George Herbert Mead and his student Herbert Blumer resulting in the creation of the symbolic interactionism approach to sociology. American sociology in the 1940s and 1950s was dominated largely by Talcott Parsons, who argued that aspects of society that promoted structural integration were therefore "functional". This structural functionalism approach was questioned in the 1960s, when sociologists came to see this approach as merely a justification for inequalities present in the status quo. In reaction, conflict theory was developed, which was based in part on the philosophies of Karl Marx. Conflict theorists saw society as an arena in which different groups compete for control over resources. Symbolic interactionism also came to be regarded as central to sociological thinking. Erving Goffman saw social interactions as a stage performance, with individuals preparing "backstage" and attempting to control their audience through impression management. While these theories are currently prominent in sociological thought, other approaches exist, including feminist theory, post-structuralism, rational choice theory, and postmodernism. Anthropology can best be understood as an outgrowth of the Age of Enlightenment. It was during this period that Europeans attempted systematically to study human behaviour. Traditions of jurisprudence, history, philology and sociology developed during this time and informed the development of the social sciences of which anthropology was a part. At the same time, the romantic reaction to the Enlightenment produced thinkers such as Johann Gottfried Herder and later Wilhelm Dilthey whose work formed the basis for the culture concept which is central to the discipline. Traditionally, much of the history of the subject was based on colonial encounters between Western Europe and the rest of the world, and much of 18th- and 19th-century anthropology is now classed as scientific racism. During the late 19th-century, battles over the "study of man" took place between those of an "anthropological" persuasion (relying on anthropometrical techniques) and those of an "ethnological" persuasion (looking at cultures and traditions), and these distinctions became part of the later divide between physical anthropology and cultural anthropology, the latter ushered in by the students of Franz Boas. In the mid-20th century, much of the methodologies of earlier anthropological and ethnographical study were reevaluated with an eye towards research ethics, while at the same time the scope of investigation has broadened far beyond the traditional study of "primitive cultures" (scientific practice itself is often an arena of anthropological study). The emergence of paleoanthropology, a scientific discipline which draws on the methodologies of paleontology, physical anthropology and ethology, among other disciplines, and increasing in scope and momentum from the mid-20th century, continues to yield further insights into human origins, evolution, genetic and cultural heritage, and perspectives on the contemporary human predicament as well. Communication studies combines animal communication, information theory, marketing, public relations, telecommunications and other forms of communication. Computer science, built upon a foundation of theoretical linguistics, discrete mathematics, and electrical engineering, studies the nature and limits of computation. Subfields include computability, computational complexity, database design, computer networking, artificial intelligence, and the design of computer hardware. One area in which advances in computing have contributed to more general scientific development is by facilitating large-scale archiving of scientific data. Contemporary computer science typically distinguishes itself by emphasising mathematical 'theory' in contrast to the practical emphasis of software engineering. Environmental science is an interdisciplinary field. It draws upon the disciplines of biology, chemistry, earth sciences, ecology, geography, mathematics, and physics. Materials science has its roots in metallurgy, mineralogy, and crystallography. It combines chemistry, physics, and several engineering disciplines. The field studies metals, ceramics, glass, plastics, semiconductors, and composite materials. Neuroscience is a multidisciplinary branch of science that combines physiology, neuroanatomy, molecular biology, developmental biology, cytology, mathematical modeling and psychology to understand the fundamental and emergent properties of neurons, glia, nervous systems and neural circuits. As an academic field, history of science and technology began with the publication of William Whewell's History of the Inductive Sciences (first published in 1837). A more formal study of the history of science as an independent discipline was launched by George Sarton's publications, Introduction to the History of Science (1927) and the Isis journal (founded in 1912). Sarton exemplified the early 20th-century view of the history of science as the history of great men and great ideas. He shared with many of his contemporaries a Whiggish belief in history as a record of the advances and delays in the march of progress. The history of science was not a recognized subfield of American history in this period, and most of the work was carried out by interested scientists and physicians rather than professional historians. With the work of I. Bernard Cohen at Harvard, the history of science became an established subdiscipline of history after 1945. The history of mathematics, history of technology, and history of philosophy are distinct areas of research and are covered in other articles. Mathematics is closely related to but distinct from natural science (at least in the modern conception). Technology is likewise closely related to but clearly differs from the search for empirical truth. History of science is an academic discipline, with an international community of specialists. Main professional organizations for this field include the History of Science Society, the British Society for the History of Science, and the European Society for the History of Science. Much of the study of the history of science has been devoted to answering questions about what science is, how it functions, and whether it exhibits large-scale patterns and trends. The sociology of science in particular has focused on the ways in which scientists work, looking closely at the ways in which they "produce" and "construct" scientific knowledge. Since the 1960s, a common trend in science studies (the study of the sociology and history of science) has been to emphasize the "human component" of scientific knowledge, and to de-emphasize the view that scientific data are self-evident, value-free, and context-free. The field of Science and Technology Studies, an area that overlaps and often informs historical studies of science, focuses on the social context of science in both contemporary and historical periods. Humboldtian science refers to the early 19th century approach of combining scientific field work with the age of Romanticism sensitivity, ethics and aesthetic ideals. It helped to install natural history as a separate field, gave base for ecology and was based on the role model of scientist, naturalist and explorer Alexander von Humboldt. The later 19th century positivism asserted that all authentic knowledge allows verification and that all authentic knowledge assumes that the only valid knowledge is scientific. A major subject of concern and controversy in the philosophy of science has been the nature of theory change in science. Karl Popper argued that scientific knowledge is progressive and cumulative; Thomas Kuhn, that scientific knowledge moves through "paradigm shifts" and is not necessarily progressive; and Paul Feyerabend, that scientific knowledge is not cumulative or progressive and that there can be no demarcation in terms of method between science and any other form of investigation. The mid 20th century saw a series of studies relying to the role of science in a social context, starting from Thomas Kuhn's The Structure of Scientific Revolutions in 1962. It opened the study of science to new disciplines by suggesting that the evolution of science was in part sociologically determined and that positivism did not explain the actual interactions and strategies of the human participants in science. As Thomas Kuhn put it, the history of science may be seen in more nuanced terms, such as that of competing paradigms or conceptual systems in a wider matrix that includes intellectual, cultural, economic and political themes outside of science. "Partly by selection and partly by distortion, the scientists of earlier ages are implicitly presented as having worked upon the same set of fixed problems and in accordance with the same set of fixed canons that the most recent revolution in scientific theory and method made seem scientific." Further studies, e.g. Jerome Ravetz 1971 Scientific Knowledge and its Social Problems referred to the role of the scientific community, as a social construct, in accepting or rejecting (objective) scientific knowledge. The Science wars of the 1990 were about the influence of especially French philosophers, which denied the objectivity of science in general or seemed to do so. They described as well differences between the idealized model of a pure science and the actual scientific practice; while scientism, a revival of the positivism approach, saw in precise measurement and rigorous calculation the basis for finally settling enduring metaphysical and moral controversies. However, more recently some of the leading critical theorists have recognized that their postmodern deconstructions have at times been counter-productive, and are providing intellectual ammunition for reactionary interests. Bruno Latour noted that "dangerous extremists are using the very same argument of social construction to destroy hard-won evidence that could save our lives. Was I wrong to participate in the invention of this field known as science studies? Is it enough to say that we did not really mean what we meant?" One recurring observation in the history of science involves the struggle for recognition of first-rate scientists working on the periphery of the scientific establishment. For instance, the great physicist Lord Rayleigh looked back (cited here) on John James Waterston's seminal paper on the kinetic theory of gases. The history of the neglect of Waterston's path-breaking article, Rayleigh felt, suggests that "a young author who believes himself capable of great things would usually do well to secure favourable recognition of the scientific world . . . before embarking upon higher flights." "But what remains to be said about the quantity and source of the blood which thus passes, is of so novel and unheard-of character that I not only fear injury to myself from the envy of a few, but I tremble lest I have mankind at large for my enemies, so much doth wont and custom, that become as another nature, and doctrine once sown and that hath struck deep root, and respect for antiquity, influence all men." In more general terms, Robert K. Merton remarks that "the history of science abounds in instances of basic papers having been written by comparatively unknown scientists, only to be rejected or neglected for years." ^ "Whewell and the coining of 'scientist' in the Quarterly Review » Science Comma". blogs.kent.ac.uk. Retrieved 2016-10-19. ^ Hendrix, Scott E. (2011). "Natural Philosophy or Science in Premodern Epistemic Regimes? The Case of the Astrology of Albert the Great and Galileo Galilei". Teorie Vědy / Theory of Science. 33 (1): 111–132. Retrieved 20 February 2012. ^ "For our purpose, science may be defined as ordered knowledge of natural phenomena and of the relations between them." William C. Dampier-Whetham, "Science", in Encyclopædia Britannica, 11th ed. (New York: 1911); "Science comprises, first, the orderly and systematic comprehension, description and/or explanation of natural phenomena and, secondly, the [mathematical and logical] tools necessary for the undertaking." Marshall Clagett, Greek Science in Antiquity (New York: Collier Books, 1955); "Science is a systematic explanation of perceived or imaginary phenomena, or else is based on such an explanation. Mathematics finds a place in science only as one of the symbolical languages in which scientific explanations may be expressed." David Pingree, "Hellenophilia versus the History of Science", Isis 83, 559 (1982); Pat Munday, entry "History of Science", New Dictionary of the History of Ideas (Charles Scribner's Sons, 2005). ^ Golinski, Jan (2001). Making Natural Knowledge: Constructivism and the History of Science (reprint ed.). University of Chicago Press. p. 2. ISBN 978-0-226-30232-4. When [history of science] began, during the eighteenth century, it was practiced by scientists (or "natural philosophers") with an interest in validating and defending their enterprise. They wrote histories in which ... the science of the day was exhibited as the outcome of the progressive accumulation of human knowledge, which was an integral part of moral and cultural development. ^ Kuhn, T., 1962, "The Structure of Scientific Revolutions", University of Chicago Press, p. 137: "Partly by selection and partly by distortion, the scientists of earlier ages are implicitly presented as having worked upon the same set of fixed problems and in accordance with the same set of fixed canons that the most recent revolution in scientific theory and method made seem scientific." ^ Matsuoka, Yoshihiro; Vigouroux, Yves; Goodman, Major M.; Sanchez G., Jesus; Buckler, Edward; Doebley, John (30 April 2002). "A single domestication for maize shown by multilocus microsatellite genotyping". Proceedings of the National Academy of Sciences. 99 (9): 6080–6084. Bibcode:2002PNAS...99.6080M. doi:10.1073/pnas.052125199. PMC 122905. PMID 11983901. ^ Sean B. Carroll (24 May 2010),"Tracking the Ancestry of Corn Back 9,000 Years" New York Times. ^ Francesca Bray (1984), Science and Civilisation in China VI.2 Agriculture pp 299, 453 writes that teosinte, 'the father of corn', helps the success and vitality of corn when planted between the rows of its 'children', maize. ^ Hoskin, Michael (2001). Tombs, Temples and their Orientations: a New Perspective on Mediterranean Prehistory. Bognor Regis, UK: Ocarina Books. ISBN 978-0-9540867-1-8. ^ Ruggles, Clive (1999). Astronomy in Prehistoric Britain and Ireland. New Haven: Yale University Press. ISBN 978-0-300-07814-5. ^ a b c d Farber, Walter (1995). Witchcraft, Magic, and Divination in Ancient Mesopotamia (PDF). Civilizations of the Ancient Near East. 3. New York City, New York: Charles Schribner’s Sons, MacMillan Library Reference USA, Simon & Schuster MacMillan. pp. 1891–1908. ISBN 978-0-684-19279-6. Archived from the original (PDF) on 13 January 2018. Retrieved 12 May 2018. ^ a b c Abusch, Tzvi (2002). Mesopotamian Witchcraft: Towards a History and Understanding of Babylonian Witchcraft Beliefs and Literature. Leiden, The Netherlands: Brill. p. 56. ISBN 978-90-04-12387-8. ^ a b c Brown, Michael (1995). Israel's Divine Healer. Grand Rapids, Michigan: Zondervan. p. 42. ISBN 978-0-310-20029-1. ^ a b c McIntosh, Jane R. (2005). Ancient Mesopotamia: New Perspectives. Santa Barbara, California, Denver, Colorado, and Oxford, England: ABC-CLIO. pp. 273–276. ISBN 978-1-57607-966-9. ^ R D. Biggs (2005). "Medicine, Surgery, and Public Health in Ancient Mesopotamia". Journal of Assyrian Academic Studies. 19 (1): 7–18. ^ Heeßel, N. P. (2004). "Diagnosis, Divination, and Disease: Towards an Understanding of the Rationale Behind the Babylonian Diagonostic Handbook". In Horstmanshoff, H.F.J. ; Stol, Marten; Tilburg, Cornelis. Magic and Rationality in Ancient Near Eastern and Graeco-Roman Medicine. Studies in Ancient Medicine. 27. Leiden, The Netherlands: Brill. pp. 97–116. ISBN 978-90-04-13666-3. ^ Marten Stol (1993), Epilepsy in Babylonia, p. 55, Brill Publishers, ISBN 90-72371-63-1. ^ Kahn, Charles H. (2001). Pythagoras and the Pythagoreans: A Brief History. Indianapolis, Indiana and Cambridge, England: Hackett Publishing Company. p. 32. ISBN 978-0-87220-575-8. ^ Riedweg, Christoph (2005) . Pythagoras: His Life, Teachings, and Influence. Ithaca, New York: Cornell University Press. p. 27. ISBN 978-0-8014-7452-1. ^ Aaboe, A. (2 May 1974). "Scientific Astronomy in Antiquity". Philosophical Transactions of the Royal Society. 276 (1257): 21–42. Bibcode:1974RSPTA.276...21A. doi:10.1098/rsta.1974.0007. JSTOR 74272. ^ Homer (May 1998). The Odyssey. Translated by Walter Shewring. Oxford University Press. p. 40. ISBN 978-0-19-283375-4. In Egypt, more than in other lands, the bounteous earth yields a wealth of drugs, healthful and baneful side by side; and every man there is a physician; the rest of the world has no such skill, for these are all of the family of Paeon. ^ Lloyd, G.E.R. "The development of empirical research", in his Magic, Reason and Experience: Studies in the Origin and Development of Greek Science. ^ F.M. Cornford, Principium Sapientiae: The Origins of Greek Philosophical Thought, (Gloucester, Massachusetts, Peter Smith, 1971), p. 159. ^ Arieti, James A. Philosophy in the ancient world: an introduction, p. 45 . Rowman & Littlefield, 2005. 386 pp. ISBN 978-0-7425-3329-5. ^ Dicks, D.R. (1970). Early Greek Astronomy to Aristotle. Cornell University Press. pp. 72–198. ISBN 978-0-8014-0561-7. ^ O'Leary, De Lacy (1949). How Greek Science Passed to the Arabs. Routledge & Kegan Paul. ISBN 978-0-7100-1903-5. ^ Leroi, Armand Marie (2015). The Lagoon: How Aristotle Invented Science. Bloomsbury. p. 7–. ISBN 978-1-4088-3622-4. ^ Zalta, Edward N., ed. (2018). "Aristotle's Influence". Stanford Encyclopedia of Philosophy (Spring 2018 ed.). ^ Barnes, Jonathan (1982). Aristotle: A Very Short Introduction. Oxford University Press. p. 86. ISBN 978-0-19-285408-7. ^ G.E.R. Lloyd, Early Greek Science: Thales to Aristotle, (New York: W.W. Norton, 1970), pp. 144–146. ^ Greek Science, many editions, such as the paperback by Penguin Books. Copyrights in 1944, 1949, 1953, 1961, 1963. The first quote above comes from Part 1, Chapter 1; the second, from Part 2, Chapter 4. ^ Marchant, Jo (2006). "In search of lost time". Nature. 444 (7119): 534–538. Bibcode:2006Natur.444..534M. doi:10.1038/444534a. PMID 17136067. ^ Casselman, Bill. "One of the Oldest Extant Diagrams from Euclid". University of British Columbia. Retrieved 26 September 2008. ^ Boyer (1991). "Euclid of Alexandria". A History of Mathematics. p. 119. The Elements of Euclid not only was the earliest major Greek mathematical work to come down to us, but also the most influential textbook of all times. [...]The first printed versions of the Elements appeared at Venice in 1482, one of the very earliest of mathematical books to be set in type; it has been estimated that since then at least a thousand editions have been published. Perhaps no book other than the Bible can boast so many editions, and certainly no mathematical work has had an influence comparable with that of Euclid's Elements. ^ Calinger, Ronald (1999). A Contextual History of Mathematics. Prentice-Hall. p. 150. ISBN 978-0-02-318285-3. Shortly after Euclid, compiler of the definitive textbook, came Archimedes of Syracuse (c. 287–212 BC. ), the most original and profound mathematician of antiquity. ^ O'Connor, J.J.; Robertson, E.F. (February 1996). "A history of calculus". University of St Andrews. Retrieved 7 August 2007. ^ "3: Early Indian culture – Indus civilisation". st-and.ac.uk. ^ Bisht, R.S. (1982). "Excavations at Banawali: 1974–77". In Possehl, Gregory L. Harappan Civilization: A Contemporary Perspective. Oxford and IBH Publishing Co. pp. 113–124. ^ Pickover, Clifford (2008). Archimedes to Hawking: laws of science and the great minds behind them. Oxford University Press US. p. 105. ISBN 978-0-19-533611-5. ^ Mainak Kumar Bose, Late Classical India, A. Mukherjee & Co., 1988, p. 277. ^ Ifrah, Georges. 1999. The Universal History of Numbers : From Prehistory to the Invention of the Computer, Wiley. ISBN 0-471-37568-3. ^ O'Connor, J.J. and E.F. Robertson. 2000. 'Indian Numerals', MacTutor History of Mathematics Archive, School of Mathematics and Statistics, University of St. Andrews, Scotland. ^ George G. Joseph (1991). The crest of the peacock. London. ^ a b Sarma, K.V. (2008). "Astronomy in India". In Selin, Helaine. Encyclopaedia of the History of Science, Technology, and Medicine in Non-Western Cultures. Springer, Dordrecht. pp. 317–321. doi:10.1007/978-1-4020-4425-0_9554. ISBN 978-1-4020-4425-0. ^ George G. Joseph (2000). The Crest of the Peacock: Non-European Roots of Mathematics, p. 408. Princeton University Press. ^ Coppa, A.; et al. (6 April 2006). "Early Neolithic tradition of dentistry: Flint tips were surprisingly effective for drilling tooth enamel in a prehistoric population". Nature. 440 (7085): 755–756. Bibcode:2006Natur.440..755C. doi:10.1038/440755a. PMID 16598247. ^ Pullaiah (2006). Biodiversity in India, Volume 4. Daya Books. p. 83. ISBN 978-81-89233-20-4. ^ Srinivasan, Sharda and Srinivasa Rangnathan. 2004. India's Legendary Wootz Steel. Bangalore: Tata Steel. ^ Needham, Joseph (1986). Science and Civilization in China: Volume 3, Mathematics and the Sciences of the Heavens and the Earth. Taipei: Caves Books Ltd. p. 208. ^ de Crespigny (2007), 1050; Morton & Lewis (2005), 70. ^ Minford & Lau (2002), 307; Balchin (2003), 26–27; Needham (1986a), 627; Needham (1986c), 484; Krebs (2003), 31. ^ Lindberg, David. (1992) The Beginnings of Western Science. University of Chicago Press. p. 363. ^ Linda E. Voigts, "Anglo-Saxon Plant Remedies and the Anglo-Saxons", Isis, 70 (1979): 250–268; reprinted in Michael H. Shank, The Scientific Enterprise in Antiquity and the Middle Ages, Chicago: Univ. of Chicago Pr., 2000, pp. 163–181. ISBN 0-226-74951-7. ^ Faith Wallis, Bede: The Reckoning of Time, Liverpool: Liverpool Univ. Pr., 2004, pp. xviii–xxxiv. ISBN 0-85323-693-3. ^ Craig, Edward, ed. (1998). "Philoponus, John". Routledge Encyclopedia of Philosophy, Volume 7, Nihilism-Quantum mechanics. pp. 371–377, 373. ISBN 978-0-415-18712-1. ^ Lindberg, David C. (2007). The Beginnings of Western Science: The European Scientific Tradition in Philosophical, Religious, and Institutional Context, Prehistory to A.D. 1450 (second ed.). Chicago, Illinois: University of Chicago Press. p. 307–308. ISBN 978-0-226-48205-7. Link to p. 307 from Google's copy of 2008 reprint. ^ a b Lindberg, David. (1992) The Beginnings of Western Science. University of Chicago Press. p. 162. ^ "The Case of Conjoined Twins in 10th Century Byzantium". 2014-01-04. ^ "the Unspeakable History of Thoracopagus Twins' Separation" (PDF). Retrieved 2019-03-07. ^ Lindberg, David. (1992). The Beginnings of Western Science. University of Chicago Press. p. 162. ^ Sameen Ahmed Khan, Arab Origins of the Discovery of the Refraction of Light; Roshdi Hifni Rashed (Picture) Awarded the 2007 King Faisal International Prize, Optics & Photonics News (OPN, Logo), Vol. 18, No. 10, pp. 22–23 (October 2007). ^ Al-Khalili, Jim (4 January 2009). "BBC News". BBC News. Retrieved 11 April 2014. ^ Toomer, Gerald (1990). "Al-Khwārizmī, Abu Jaʿfar Muḥammad ibn Mūsā". In Gillispie, Charles Coulston. Dictionary of Scientific Biography. 7. New York: Charles Scribner's Sons. ISBN 0-684-16962-2. ^ Rosen, Edward (1985). "The Dissolution of the Solid Celestial Spheres". Journal of the History of Ideas. 46 (1): 19–21. doi:10.2307/2709773. JSTOR 2709773. ^ Rabin, Sheila (2004). "Nicolaus Copernicus". Stanford Encyclopedia of Philosophy. Retrieved 24 June 2012. ^ Saliba, George (1994). A History of Arabic Astronomy: Planetary Theories During the Golden Age of Islam. New York University Press. pp. 254, 256–257. ISBN 978-0-8147-8023-7. ^ Bartel, B.L. (1987). "The Heliocentric System in Greek, Persian and Hindu Astronomy". Annals of the New York Academy of Sciences. 500 (1): 525–545 [534–537]. Bibcode:1987NYASA.500..525V. doi:10.1111/j.1749-6632.1987.tb37224.x. ^ Nasr, Seyyed H. (1993). An Introduction to Islamic Cosmological Doctrines (2nd ed.). State University of New York Press. pp. 135–136. ISBN 978-0-7914-1516-0. ^ Baker, A.; Chapter, L. (2002). Part 4: The Sciences. , in Sharif, M.M. "A History of Muslim Philosophy". Philosophia Islamica. ^ Will Durant (1980). The Age of Faith (The Story of Civilization, Volume 4), pp. 162–186. Simon & Schuster. ISBN 0-671-01200-2. ^ Derewenda, Zygmunt S.; Derewenda, ZS (2007). "On wine, chirality and crystallography". Acta Crystallographica Section A. 64 (Pt 1): 246–258 . Bibcode:2008AcCrA..64..246D. doi:10.1107/S0108767307054293. PMID 18156689. ^ Warren, John (2005). "War and the Cultural Heritage of Iraq: a sadly mismanaged affair". Third World Quarterly. 26 (4–5): 815–830. doi:10.1080/01436590500128048. ^ Lindberg, David C. (1967). "Alhazen's Theory of Vision and Its Reception in the West". Isis. 58 (3): 321–341. doi:10.1086/350266. PMID 4867472. ^ Faruqi, Yasmeen M. (2006). "Contributions of Islamic scholars to the scientific enterprise". International Education Journal. 7 (4): 391–396. ^ Masood, Ehsan (2009). Science and Islam A History. Icon Books. pp. 74, 99–105. ISBN 978-1-78578-202-2. ^ Nasr, Seyyed Hossein (2007). "Avicenna". Encyclopædia Britannica Online. Retrieved 3 June 2010. ^ a b Jacquart, Danielle (2008). "Islamic Pharmacology in the Middle Ages: Theories and Substances". European Review (Cambridge University Press) 16: 219–227. ^ David W. Tschanz, MSPH, PhD (August 2003). "Arab Roots of European Medicine", Heart Views 4 (2). ^ Brater, D. Craig; Daly, Walter J. (2000). "Clinical pharmacology in the Middle Ages: Principles that presage the 21st century". Clinical Pharmacology & Therapeutics. 67 (5): 447–450 . doi:10.1067/mcp.2000.106465. PMID 10824622. ^ Martin-Araguz, A.; Bustamante-Martínez, C.; Fernández-Armayor Ajo, V.; Moreno-Martínez, J. M. (2002). "Neuroscience in al-Andalus and its influence on medieval scholastic medicine". Revista de Neurología. 34 (9): 877–892. doi:10.33588/rn.3409.2001382. PMID 12134355. ^ Zafarul-Islam Khan, At The Threshold Of A New Millennium – II, The Milli Gazette. ^ Ahmed, Akbar S. (1984). "Al-Beruni: The First Anthropologist". RAIN. 60 (60): 9–10. doi:10.2307/3033407. JSTOR 3033407. ^ Ahmed, Akbar (2002). "Ibn Khaldun's Understanding of Civilizations and the Dilemmas of Islam and the West Today". Middle East Journal. 56 (1): 25. ^ Abdalla, Mohamad (2007). "Ibn Khaldun on the Fate of Islamic Science after the 11th Century". Islam & Science. 5 (1): 61–70. ^ Salahuddin Ahmed (1999). A Dictionary of Muslim Names. C. Hurst & Co. Publishers. ISBN 1-85065-356-9. ^ a b Erica Fraser. The Islamic World to 1600, University of Calgary. ^ Lindberg, David. (1992) The Beginnings of Western Science University of Chicago Press. p. 204. ^ Numbers, Ronald (2009). Galileo Goes to Jail and Other Myths about Science and Religion. Harvard University Press. p. 45. ISBN 978-0-674-03327-6. ^ "Debunking a myth". Harvard University. 7 April 2011. ^ R.W. Vernon, G. McDonnell and A. Schmidt, 'An integrated geophysical and analytical appraisal of early iron-working: three case studies' Historical Metallurgy 31(2) (1998), 72–75 79. ^ Hans Thijssen (30 January 2003). "Condemnation of 1277". Stanford Encyclopedia of Philosophy. University of Stanford. Retrieved 14 September 2009. ^ "Rediscovering the Science of the Middle Ages". BioLogos. ^ "023-A03: The Middle Ages and the Birth of Science – International Catholic University". International Catholic University. ^ McLeish, Tom C. B.; Bower, Richard G.; Tanner, Brian K.; Smithson, Hannah E.; Panti, Cecilia; Lewis, Neil; Gasper, Giles E.M. (2014). "History: A medieval multiverse". Nature News & Comment. 507 (7491): 161–163. doi:10.1038/507161a. ^ "Revolution Against Evolution – A Revolution of the Love of God" (PDF). ^ Edward Grant, The Foundations of Modern Science in the Middle Ages: Their Religious, Institutional, and Intellectual Contexts, (Cambridge Univ. Press, 1996), pp. 127–131. ^ David C. Lindberg, Theories of Vision from al-Kindi to Kepler, (Chicago: Univ. of Chicago Pr., 1976), pp. 140–142. ^ Edward Grant, The Foundations of Modern Science in the Middle Ages: Their Religious, Institutional, and Intellectual Contexts, (Cambridge: Cambridge Univ. Press, 1996), pp. 95–97. ^ Edward Grant, The Foundations of Modern Science in the Middle Ages: Their Religious, Institutional, and Intellectual Contexts, (Cambridge Univ. Press, 1996), pp. 100–103. ^ Weidhorn, Manfred (2005). The Person of the Millennium: The Unique Impact of Galileo on World History. iUniverse. p. 155. ISBN 978-0-595-36877-8. ^ Allen Debus, Man and Nature in the Renaissance, (Cambridge: Cambridge Univ. Pr., 1978). ^ Ronald K. Smeltzer. “Chien-Shiung Wu.” Atomic Heritage Foundation, https://www.atomicheritage.org/profile/chien-shiung-wu. Accessed 26 Oct. 2017. ^ a b Biography.com Editors. “Chien-Shiung Wu.” Biography.com, 2 June 2016, https://www.biography.com/people/chien-shiung-wu-053116. ^ Garwin, Richard L., and Tsung-Dao Lee. “Chien‐Shiung Wu.” Physics Today, vol. 50, no. 10, 1997, p. 130. world, physicstoday.scitation.org, doi:10.1063/1.2806727. ^ Newman, William R.; Mauskopf, Seymour H.; Eddy, Matthew Daniel (2014). Eddy, Matthew Daniel; Mauskopf, Seymour; Newman, William R., eds. "Chemical Knowledge in the Early Modern World". Osiris. 29: 1–15. doi:10.1086/678110. PMID 26103744. ^ Matthew Daniel Eddy (2008). The Language of Mineralogy: John Walker, Chemistry and the Edinburgh Medical School 1750–1800. Ashgate. ^ Erik Gregersen. “Cecilia Payne-Gaposchkin | American Astronomer.” Encyclopædia Britannica, https://www.britannica.com/biography/Cecilia-Payne-Gaposchkin. ^ a b Rachael Padman. “Cecilia Payne-Gaposchkin (1900–1979).” Newnham College Biographies, 2004, http://www.newn.cam.ac.uk/about/history/biographies/. ^ Alpher, Ralph A.; Herman, Robert (1948). "Evolution of the Universe". Nature. 162 (4124): 774–775. Bibcode:1948Natur.162..774A. doi:10.1038/162774b0. Gamow, G. (1948). "The Evolution of the Universe". Nature. 162 (4122): 680–682. Bibcode:1948Natur.162..680G. doi:10.1038/162680a0. PMID 18893719. ^ "Wilson's 1978 Nobel lecture" (PDF). nobelprize.org. ^ Power, d'Arcey. Life of Harvey. Longmans, Green, & co.
^ Galen, David (1984). Galen on Respiration and the arteries. UCSC library: Princeton University Press. p. 201. ^ Dobzhansky, Theodosius (1964). "Biology, Molecular and Organismic" (PDF). American Zoologist. 4 (4): 443–452. doi:10.1093/icb/4.4.443. Archived from the original (PDF) on 3 March 2016. Retrieved 5 February 2016. ^ Henig, Robin Marantz (2000). The Monk in the Garden : The Lost and Found Genius of Gregor Mendel, the Father of Genetics. Houghton Mifflin. ISBN 978-0-395-97765-1. OCLC 43648512. ^ James D. Watson and Francis H. Crick. "Letters to Nature: Molecular structure of Nucleic Acid." Nature 171, 737–738 (1953). ^ Mabbett, I.W. (1 April 1964). "The Date of the Arthaśāstra". Journal of the American Oriental Society. 84 (2): 162–169. doi:10.2307/597102. JSTOR 597102. Trautmann, Thomas R. (1971). Kauṭilya and the Arthaśāstra: A Statistical Investigation of the Authorship and Evolution of the Text. Brill. p. 10. while in his character as author of an arthaśāstra he is generally referred to by his gotra name, Kauṭilya. Trautmann 1971:5 "the very last verse of the work...is the unique instance of the personal name Viṣṇugupta rather than the gotra name Kauṭilya in the Arthaśāstra. ^ Boesche, Roger (2002). The First Great Political Realist: Kautilya and His Arthashastra. Lexington Books. p. 17. ISBN 978-0-7391-0401-9. ^ Muhammed Abdullah Enan, Ibn Khaldun: His Life and Works, The Other Press, 2007, pp. 104–105. ISBN 983-9541-53-6. ^ Guglielmo, Rinzivillo. Natura, cultura e induzione nell'età delle scienze : fatti e idee del movimento scientifico in Francia e Inghilterra. Roma. pp. 79-. ISBN 9788868124977. OCLC 913218837. ^ Kandel, Eric R. (2012). "I. Overall perspective". Principles of Neural Science, Fifth Edition. McGraw-Hill Education. ISBN 978-0-07-139011-8. ^ Reingold, Nathan (1986). "History of Science Today, 1. Uniformity as Hidden Diversity: History of Science in the United States, 1920–1940". British Journal for the History of Science. 19 (3): 243–262. doi:10.1017/S0007087400023268. ^ Dauben JW, Gleason ML, Smith GE (2009). "Seven Decades of History of Science". Isis. 100 (1): 4–35. doi:10.1086/597575. PMID 19554868. ^ What is this thing called science?. Hackett Pub. 1999. ISBN 978-0-87220-452-2. ^ King Merton, Robert (1979). The Sociology of Science: Theoretical and Empirical Investigations. University of Chicago Press. ISBN 978-0-226-52092-6.
one of the features of positivism is precisely its postulate that scientific knowledge is the paradigm of valid knowledge, a postulate that indeed is never proved nor intended to be proved. ^ Matthews, Michael Robert (1994). Science Teaching: The Role of History and Philosophy of Science. Routledge. ISBN 978-0-415-90899-3. ^ Lears, T.J. Jackson (2013-11-06). "Get Happy!!". The Nation. Retrieved 21 December 2013. ...scientism is a revival of the nineteenth-century positivist faith that a reified "science" has discovered (or is about to discover) all the important truths about human life. Precise measurement and rigorous calculation, in this view, are the basis for finally settling enduring metaphysical and moral controversies—explaining consciousness and choice, replacing ambiguity with certainty. ^ Latour, B (2004). "Why Has Critique Run Out of Steam? From Matters of Fact to Matters of Concern" (PDF). Critical Inquiry. 30 (2): 225–248. doi:10.1086/421123. ^ Moran, Gordon (1998). Silencing Scientists and Scholars in Other Fields: Power, Paradigm Controls, Peer Review, and Scholarly Communication. Ablex. pp. (cited on page) 38. ISBN 978-1-56750-343-2. ^ Merton, Robert K. (1973). The Sociology of Science. University of Chicago Press. pp. 456–457. ^ Nissani, Moti (1995). "The Plight of the Obscure Innovator in Science: A Few Reflections on Campanario's Note". Social Studies of Science. 25: 165–183. doi:10.1177/030631295025001008. Bruno, Leonard C. (1989). The Landmarks of Science. ISBN 978-0-8160-2137-6. Heilbron, John L., ed. (2003). The Oxford Companion to the History of Modern Science. Oxford University Press. ISBN 978-0-19-511229-0. Needham, Joseph. (1954–2004). Science and Civilisation in China. Multiple volumes. Needham, Joseph; Wang, Ling (1954). "Science and Civilisation in China". 1 Introductory Orientations. Cambridge University Press. Needham, Joseph; Robinson, Kenneth G.; Huang, Jen-Yü (2004). "Science and Civilisation in China". 7, part II General Conclusions and Reflections. Cambridge University Press. Sambursky, Shmuel (1974). Physical Thought from the Presocratics to the Quantum Physicists: an anthology selected, introduced and edited by Shmuel Sambursky. Pica Press. p. 584. ISBN 978-0-87663-712-8. Agassi, Joseph (2007) Science and Its History: A Reassessment of the Historiography of Science (Boston Studies in the Philosophy of Science, 253) Springer. ISBN 1-4020-5631-1. Boorstin, Daniel (1983). The Discoverers : A History of Man's Search to Know His World and Himself. Random House. ISBN 978-0-394-40229-1. OCLC 9645583. Bowler, Peter J. (1993) The Norton History of the Environmental Sciences. Brock, W.H. (1993) The Norton History of Chemistry. Kuhn, Thomas S. (1996). The Structure of Scientific Revolutions (3rd ed.). University of Chicago Press. ISBN 978-0-226-45807-6. Ilizarov Simon S., Sobisevich Alexey V. (2015). "New feature: History of science now. The Russian Federation" Centaurus. Vol. 57, no. 4. pp. 301–306. Lindberg, David C.; Shank, Michael H., eds. (2013). The Cambridge History of Science. 2, Medieval Science. Cambridge University Press. doi:10.1017/CHO9780511974007. ISBN 978-0-521-59448-6. Mayr, Ernst. (1985). The Growth of Biological Thought: Diversity, Evolution, and Inheritance. North, John. (1995). The Norton History of Astronomy and Cosmology. Slotten, Hugh Richard, ed. (2014) The Oxford Encyclopedia of the History of American Science, Medicine, and Technology. Wikimedia Commons has media related to History of science. The Vega Science Trust Free to view videos of scientists including Feynman, Perutz, Rotblat, Born and many Nobel Laureates. History of Science Digital Collection: Utah State University – Contains primary sources by such major figures in the history of scientific inquiry as Otto Brunfels, Charles Darwin, Erasmus Darwin, Carolus Linnaeus Antony van Leeuwenhoek, Jan Swammerdam, James Sowerby, Andreas Vesalius, and others. ""Scientific Change"". Internet Encyclopedia of Philosophy.